Sridhar Ramaswamy, Google’s head of commerce, is leaving the company after more than 15 years and will be joining Greylock Partners, sources inside the company told us and Google confirmed. Ramaswamy will become a venture partner at Greylock Partners . At Google, his position will be filled by Prabhakar Raghavan, who was previously the company’s VP of apps for Google Cloud. While at Google, Ramaswamy oversaw virtually all of Google’s Ads and Commerce products — that is, basically everything outside of the Google Cloud that makes the company most of its money. Ramaswamy joined Google as an engineer, but quickly moved up in the company’s ranks. He took his current position back in 2014, after Susan Wojcicki moved to YouTube. At Greylock, Ramaswamy will focus on earlier-stage entrepreneurial projects. 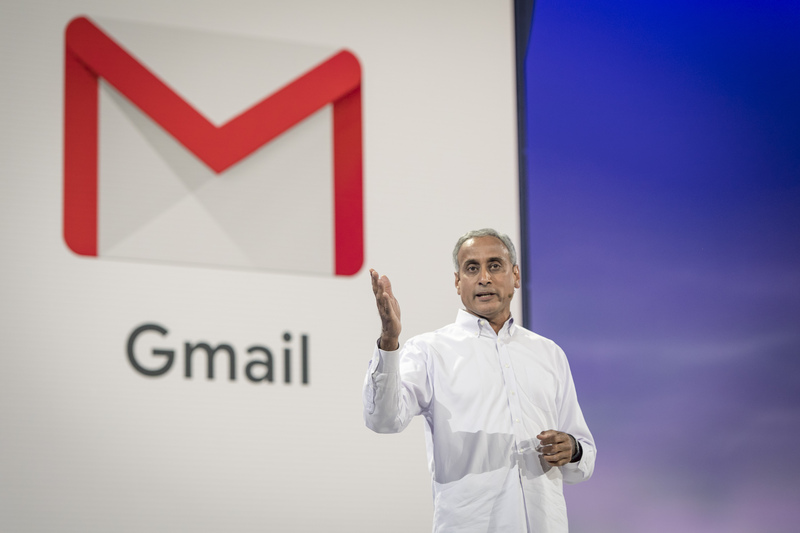 Prabhakar Raghavan, vice president of engineering and products at Google Inc., speaks during the company’s Cloud Next ’18 event in San Francisco, California, U.S., on Tuesday, July 24, 2018. Google’s advertising revenue still accounts for 84 percent of the total revenue of Alphabet. Last quarter, Google’s advertising revenues came in at over $28 billion. Annual revenue for 2017 was over $110 billion. It’s no secret, though, that Google has struggled to build a stronger commerce business, with projects like Google Express falling relatively flat as its competitors continue to grow. Raghavan, who will take his place, joined Google in 2012, after a seven-year stint as executive VP and head of Yahoo Labs, which he founded. Like Ramaswamy before him, Raghavan will focus on products while Philipp Schindler will continue in his role as Google’s Chief Business Officer, working side-by-side with Raghavan. Before Yahoo, Raghavan was the chief technology officer at Verity and worked at IBM Research. He is also the author of two computer science textbooks.